Although he had never batted at No.7 in an ODI before, Dhananjaya de Silva struck a fine 84 in the third game against South Africa to give Sri Lanka a bit of hope. It wasn’t to be in the end, though not for lack of effort on 26-year-old de Silva’s part. With South Africa having put up a record 363/7, Sri Lanka had a big chase lined up. But when de Silva came in, the scoreboard read 124/5 in 19.3 overs, and captain Angelo Mathews was the only other recognised batsman left. 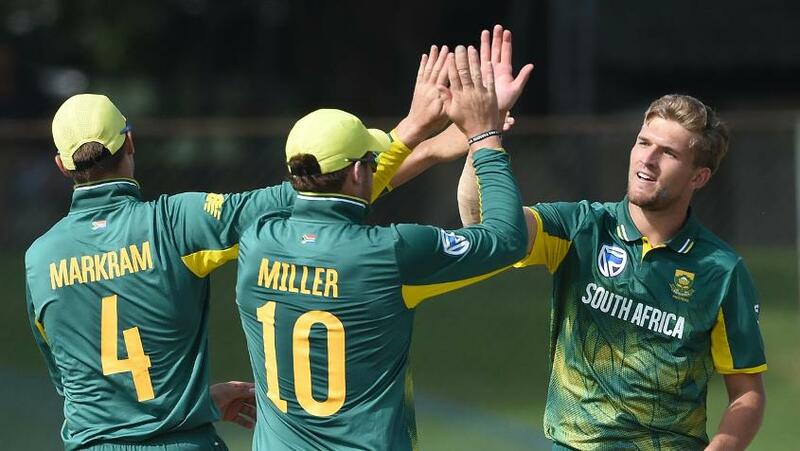 South Africa wins by 78 runs & take unassailable 3-0 series lead. Mathews fell not too long after, but de Silva went on, hitting eight fours and three sixes to score his best in ODIs in just 66 balls. An excellent effort but not enough to win Sri Lanka the match. They lost by 78 runs and conceded the series 3-0 with two matches to go. “I've been told that my position in the ODI side is down at No.6 or 7, so I will have to train and play accordingly,” said de Silva, who was playing his first ODI since June 2017 and batted at No.7 for the first time in his career. It was de Silva’s fourth ODI half-century, and got him within a few hits of a maiden century in the format. When he was dismissed, Sri Lanka still had 8.1 overs left. But the objective was not to worry about the personal milestone, de Silva said: “When I came to bat at No.7, my main focus was on how to get close to the big target that South Africa had set us. I had been down to play at No.6, but because the team wanted a left-hand-right-hand combination earlier in the innings, I had to come lower, at No. 7. The struggles of the Sri Lankan batsmen were not down to the pitch, de Silva suggested, saying that the South African total was quite par for the course. “There was nothing wrong with the wicket – it was a 350-plus pitch. But we lost early wickets and the target became difficult. Otherwise we could have got those runs if we had had wickets in hand,” said de Silva. The fourth ODI will be played in Pallekele on Wednesday, 8 August.